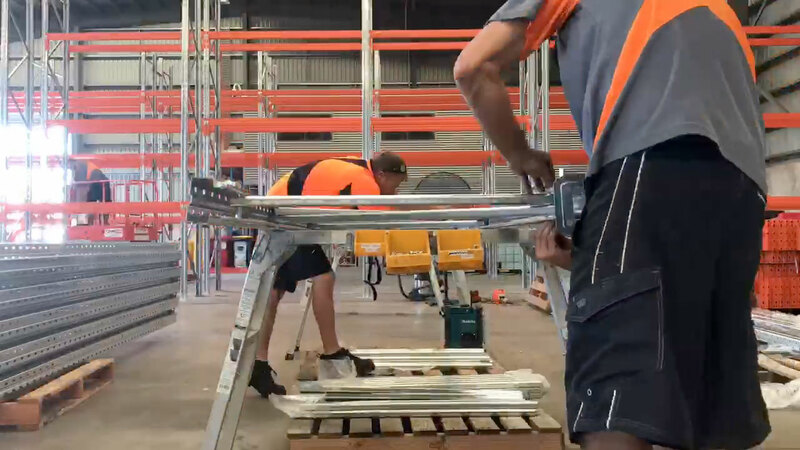 When it comes to pallet racking in Darwin, Cam Interiors has it covered. We offer Pallet Racking at the most competitive prices in the NT. 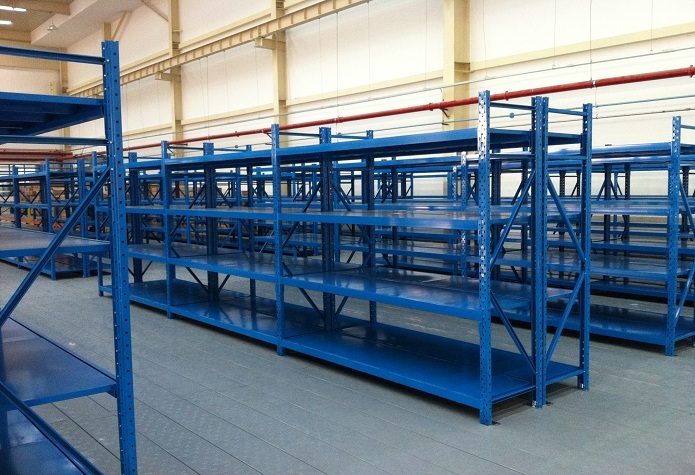 Selective Pallet Racking provides maximum storage flexibility and versatility and is the most common type of pallet racking. This racking system allows easy access to every pallet and can be serviced by most types of Forklift Trucks. Where flexibility, speed and pallet availability are your main criteria, this relatively low cost system is the ideal solution. It can be designed to handle virtually any pallet size or weight and can be readily adjusted or relocated at any time. Suiting a wide range of applications pallets can be located, accessed and moved individually, providing rapid handling of palletized goods. 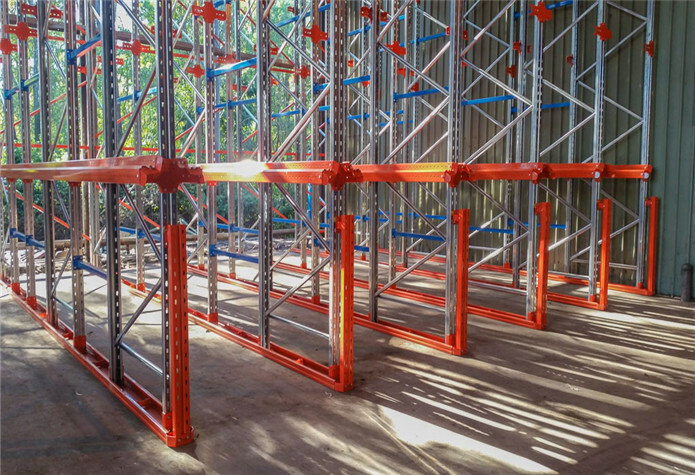 When considering Selective pallet racking for your needs there are several parameters that would help you choose the most effective system. The type and limitations of the Forklift truck that you are using...lift height, turning circle and load capacity of the truck will need to be considered. The building that you are warehousing in.....floor loading and roof height will affect your design and also the size and weights of you pallets that will be stored in the racking. Our Pallet Racking conforms to the Australian Standard AS 4084 and is compatible with Dexion racking. 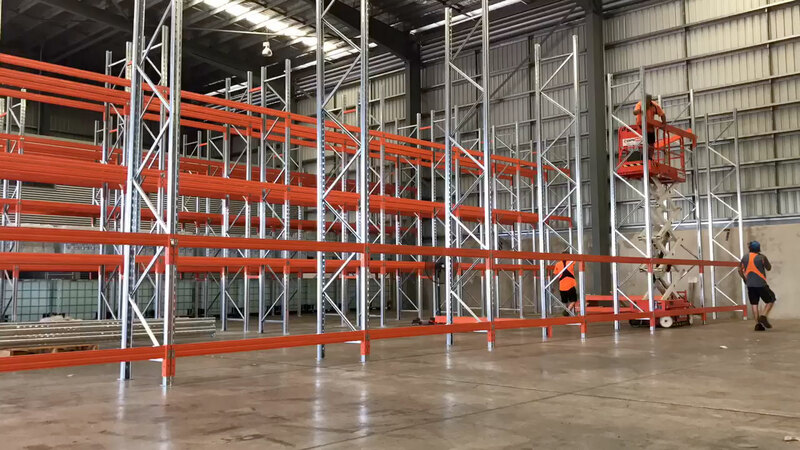 Contact us for a free measure and quote for the best value racking in Darwin. Drive In Racking for high density bulk pallet storage. 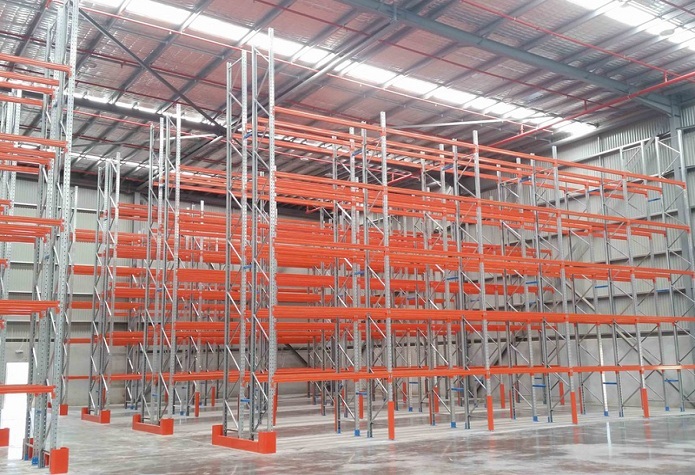 Drive-In Pallet Racking has been designed specifically for high density storage of palletized, homogeneous products to enable maximum space utilization and economic warehouse storage. Drive-In Racking can be used in a wide range of environments and applications including general warehousing, cold storage and distribution centres offering many benefits in safety, operation and flexibility. This is the lowest cost solution for high density pallet storage and is cost effectively serviced by a range of Forklift trucks including Counterbalanced and Reach trucks. An ideal system for "last in", "first out" (LIFO) storage normally suited to large quantities of the same product. Drive-Thru Pallet Racking has entry points at both end of the structure and is different from Drive-In Racking which has a common entry and exit point. A Drive-Thru racking system with two different entry points can utilize a "first in", "first out" (FIFO) storage method. With a FIFO system, pallets are loaded in one end and are pushed back to the other end, where they are then at the front of the row on the opposite side. The first pallet put into such a row is the first one taken out at the other end. This system is advantageous for material with an expiration date or wherever shelf life is a major concern. Longspan is the perfect solution when you need to store anything from small components to heavy cartons. Longspan is fast and easy to assemble, and uses a modular design with an efficient lock-in system that requires no tools, giving you maximum storage within minutes. 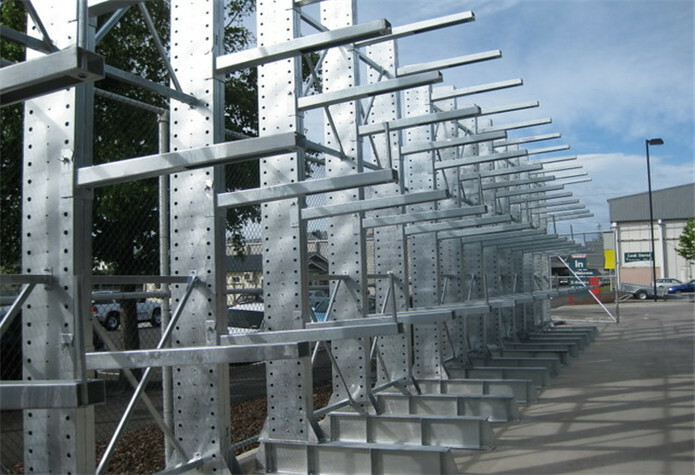 Longspan shelf levels can be easily adjusted in 50mm increments to your requirements as stocking patterns change. Longspan is an all steel product offering strength and durability. Blue frames and beams supporting galvanised steel panels which slip into recessed beams for that flush finish. Longspan is versatile and has a wide range of applications, it is ideal for shop shelving, supermarket shelving, home storage, archive storage, retail display, storerooms, office areas, and also for sheds and garages. In fact Longspan has a use just about anywhere there is a storage problem to solve. Shelving and shelving systems have never been this easy to buy and assemble. Structural Steel Mezzanines are manufactured to meet customer's specific requirements. Whether you require loading platform, storage platform or a free standing Mezzanine Floor we can help you specify and design a customised solution to suit your needs. Our Mezzanine Floors are very versatile in use, creating space and optimal floor area utilisation in congested areas. Our Structural Steel Mezzanine floors are able to span longer distances whilst having heavier load capabilities. This allows for clearer areas under the raised structure for maximum space usage. 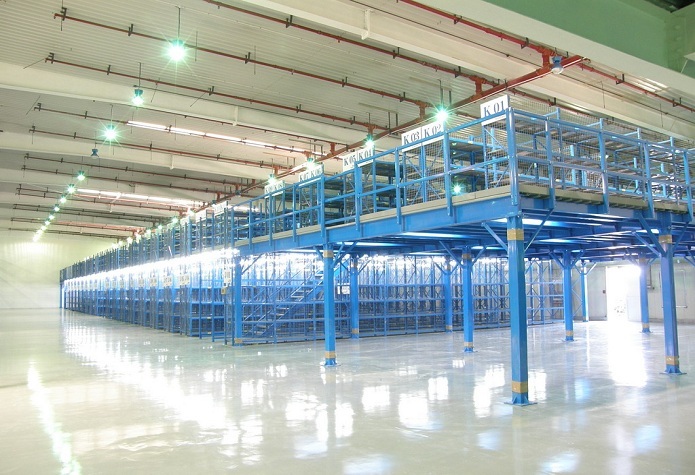 The mezzanine platforms created can also be used for additional storage areas, offices or as order picking platforms. A variety of flooring medias are available, as well as accessories such as staircases, landings, handrails, pallet gates and walkways. All Structural Steel Mezzanine Floors are designed in accordance with engineering standards. Brownbuilt Hand-operated or Mechanically assisted compakmax are the ideal storage system for office archives, libraries, retail and industrial applications. The Brownbuilt Mechanically-Assisted Compakmax is designed for ease of movement in medium to heavy duty storage applications for office, warehouse and industrial environments. Precision engineering and durable steel construction with quality endorsed manufacturing, ensure that hand-operated Maxtor units are both easy to use and long lasting. A manually operated Slimline Operating Console at the end of each mobile moves the Compakmax system by means of a chain driven mechanism. The drive system requires a force of only 10kg at the operating handle to move loads of up to 12 tonnes. Tiered lockers can come in the following configurations: 2, 4 and 8 tier combinations. They can be grouped into banks of up to 3. 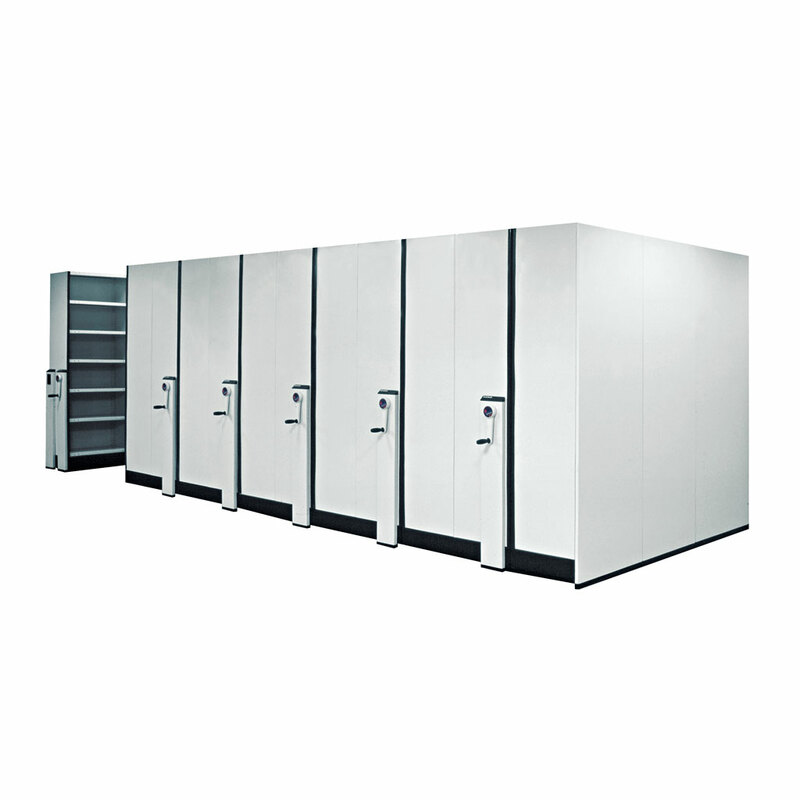 Each locker can be either 305 or 380mm wide. 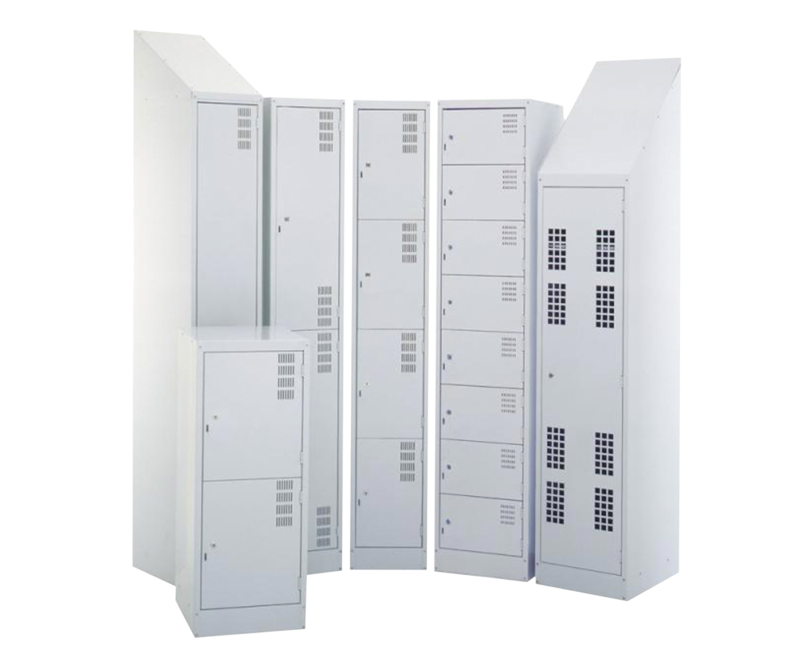 These multi-tier lockers are ideal for schools, universities, gym, hospitals, government departments, employees' room, to public areas. Locker doors can be hung either on the right side or the left side depending on the convenience of the locker rooms. The doors can open to 180 degree to allow easy access. Ventilations are built on the doors for air flow.